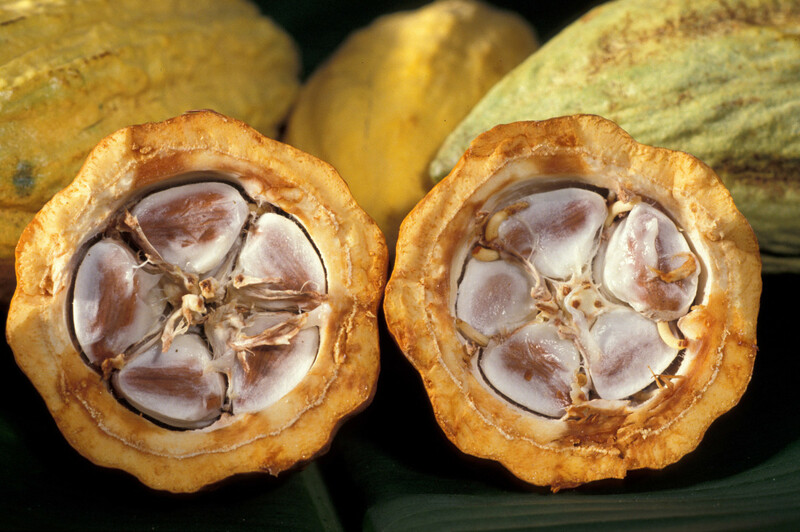 Chocolate is made from the cocoa beans which are found in the pod like fruits of the cocoa tree, Theobroma cacao. The cocoa tree is native to Mexico and tropical Americas. 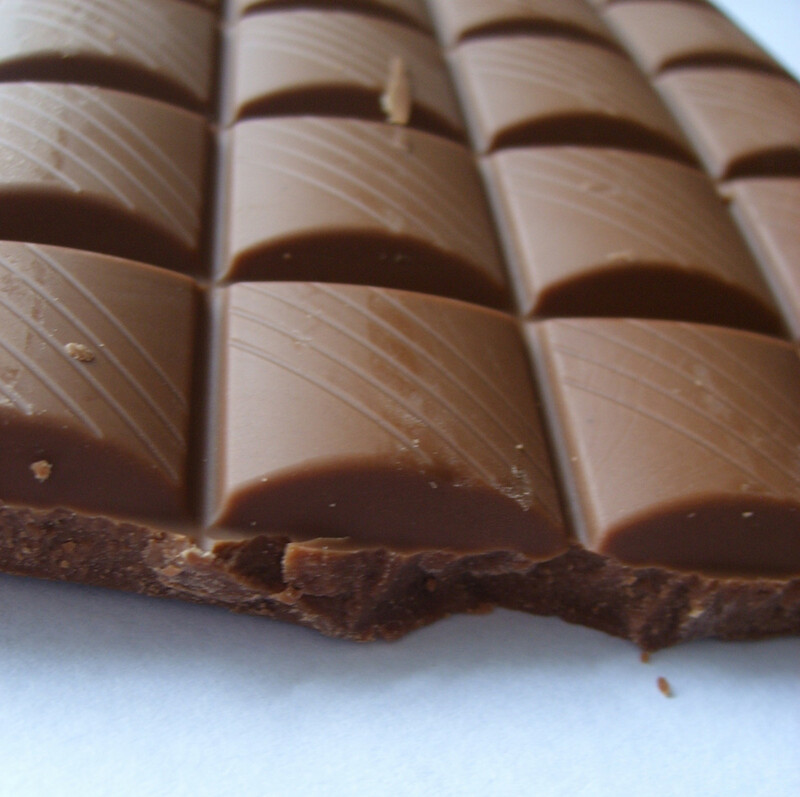 Chocolate has been known to humans for about 4000 years. It started out as a beverage which the Olmecs consumed by crushing the cocoa beans, adding water and some spices. It was a bitter drink then and was called xocolate. The flavor of chocolate depends on the kind of cocoa beans used as they not only vary from country to country but from location to location within a given area of a country. This hub will focus on the benefits of chocolate on health, especially the benefits of dark chocolate. Dogs and other animals cannot digest Theobromine. 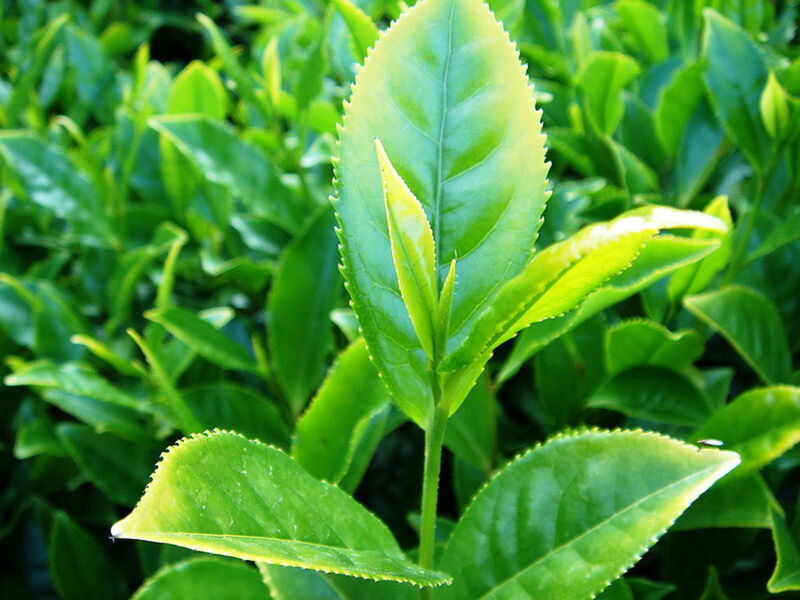 It damages the central nervous and circulatory systems leading to convulsions and death. Hence, keep pets and other animals away from chocolates. The entire process of cocoa farming is very labor dependent. All processes like harvesting to fermentation are done manually. The cocoa seeds being very bitter need to be fermented to develop the chocolate flavor. The process of fermentation changes the sugar in the pulp to acids thus chemically altering the composition of the beans. This generates a high temperature whereby the enzymes are activated leading to formation of flavor precursors. Fermentation takes between 2 to 8 days. The lesser the fermentation the healthier the chocolate produced. After fermentation, the seeds are dried mostly in the sun and then sent to factories for further processing into cocoa and chocolate. At the factory, the dried beans are first roasted either at low heat for a longer duration to develop a subtle flavor or at high heat for a short while to develop a stronger flavor. After this the outer shells are removed by passing the beans through a machine. This leaves a broken mass of beans minus the outer shells. These are called nibs. The nibs are then ground and form a thick paste like liquid called chocolate liquor which actually is the cocoa solids floating in the cocoa butter. Though it is called a liquor it has no alcohol. This chocolate liquor acts as a base to form cocoa, cocoa butter and chocolates by processing the basic ingredient- the chocolate liquor- differently. When the chocolate liquor paste is pressed hard by a hydraulic press it removes the fat, which is cocoa butter. 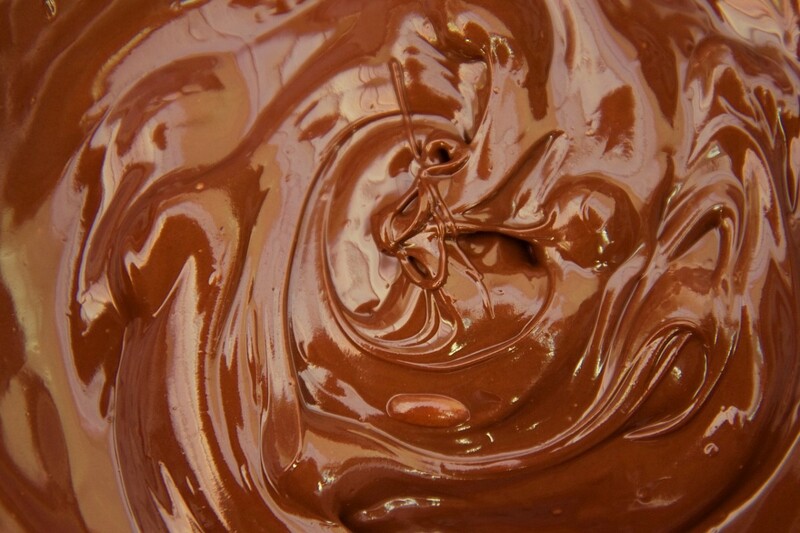 The solid mass that is left behind after the extraction of cocoa butter is ground to form cocoa. Cocoa butter is used in the making of chocolates and is also used in cosmetics and medicines. Some batches of chocolate liquor are used directly to make chocolates. To improve the texture, cocoa butter, milk and flavor are added. The entire mixture is then put in a chocolate making machine which mixes and aerates the chocolate. This process lasts from a few hours to several days. The chocolate is then tempered by repeated stirring, heating and cooling several times to produce the glossy, creamy, smooth look and taste. 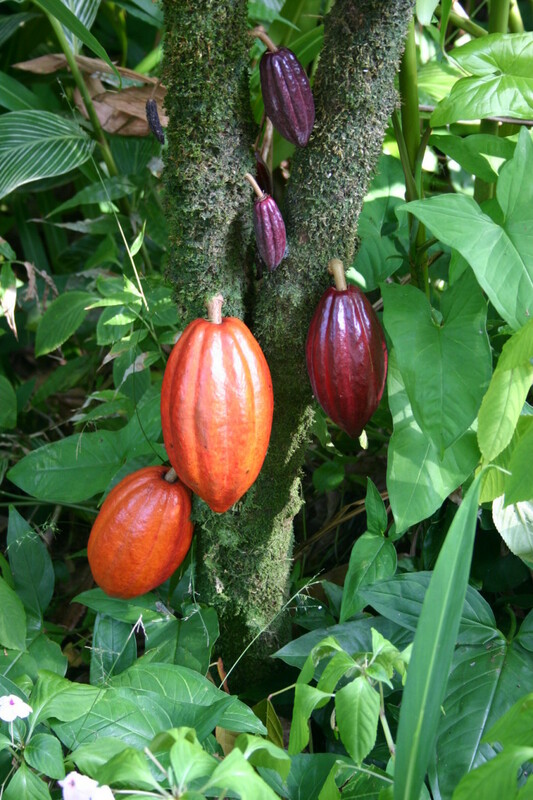 Of the 20 known varieties of the cacao tree the beans of only 3 trees are used to make chocolate. These 3 varieties are grown worldwide and the flavor varies from place to place within the same varieties. The beans of this variety form the major part, about 80-90%, of the total beans used to make chocolate. This African variety bean has low acidity but is used as it is a hardy variety and is much resistant to pests and diseases. Generally, cacao trees thrive with difficulty with 1/3rd of the world's yearly crop being destroyed by pests and disease. Using this hardy variety as a bulk base product ensures the regular availability of cacao beans to the chocolate manufacturers. This variety is grown in Latin America especially Venezuela. It has a rich fruity flavor but is very susceptible to disease and low production is another factor that makes farmers shift to a hardier variety. It forms about 5-10% of the total beans used for making chocolate. It is a hybrid of the above 2 varieties and has a good mix of Criollo's flavor and Forastero's hardiness. It forms about 10-15% of the total beans used and is grown in the Antilles islands of the Caribbean especially Jamaica. 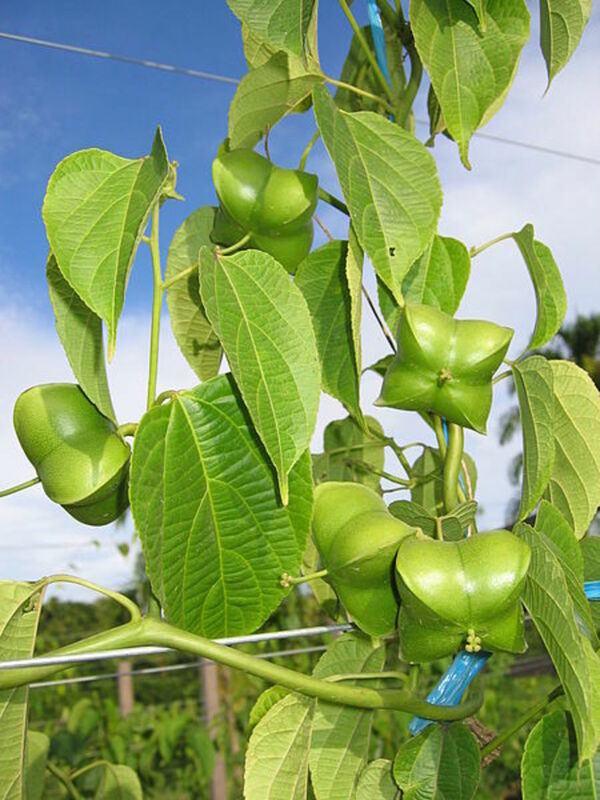 It derives its name from Trinidad where it was first grown. Basically chocolates contain the following ingredients in varying amounts. Based on their amounts and their presence or absence, they are classified into different types. Chocolate liquor, cocoa butter, cocoa powder, milk, milk powder or cream, sugar, lecithin, flavors like vanilla. It is also called as baking chocolate or pure chocolate. It is pure chocolate liquor that has been cooled and hardened to form the chocolate. Almost always used in baking, other chocolates are made from it. It is also called dark or semisweet chocolate. It has a minimum of 35% chocolate liquor content. Cocoa butter and sugar are also present in different amounts. It has a minimum of 15% chocolate liquor and cocoa butter and sugar in varying amounts. This type of chocolate has a minimum of 10% chocolate liquor content again with different quantities of cocoa and sugar. It also contains a minimum of 12% milk, milk powder or cream. It is not a true chocolate as it contains the same ingredients as the milk chocolate minus the non fat cocoa solids. It has a minimum of 20% cocoa butter, 14% milk and sugar. First and foremost it has to have a cacao and cocoa content of 65% and above. A cacao paste content of over 50%. Cocoa butter - more makes it creamier and less bitter. Sugar - lesser the better. Vanilla - this is added probably because most consumers of chocolate and candy identify with this flavor. Soy lecithin - it acts as an emulsifier making the chocolate creamier. 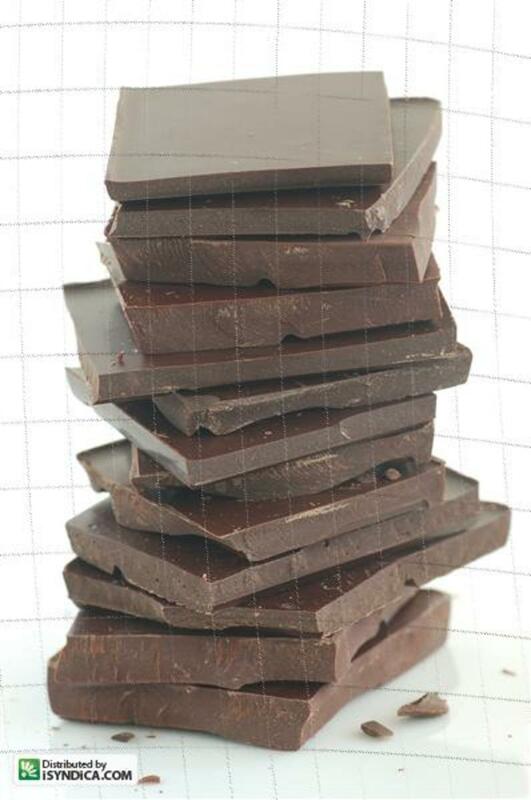 Dark chocolate contains much more, in fact, the highest cocoa content amongst all the varieties of chocolate. Consequently, it contains the highest amounts of antioxidant flavonoids, especially epicatechin, amongst all the different types of chocolates. These antioxidants scavenge the free radicals and hence dark chocolate prevents hardening of arteries due to plaque formation and thus heart disease and also lowers blood pressure. It also does not contain any added dairy products like milk solids and milk fat, which interfere with the absorption of antioxidants present in the chocolate. 1/3 rd Oleic acid - a monosaturated fat that does not raise LDL cholesterol. 1/3 rd Stearic acid - a saturated fat that does not raise LDL cholesterol. 1/3 rd Palmitic acid - a saturated fat that raises the risk of heart disease. As the 2/3 rd of the fat is a beneficial fat which does not raise the LDL cholesterol, the fats in chocolate are not harmful. In view of the above facts, you can understand the benefits of chocolate on health, especially the benefits of dark chocolate. What Do Carrots and Chocolate Have In Common? Chocolate Lovers Rejoice! What carrots and chocolate have in common and why chocolate lovers may be surprised. The results of this research certainly surprised me. All chocolates contain theobromine, minute quantities of caffeine, a number of amines of which phenyl ethylamine is predominant and serotinin. Theobromine is a stimulant and strengthens the heart. Caffeine is a stimulant that removes tiredness and improves concentration. Phenyl ethylamine is a brain stimulant. Serotinin lifts up the mood and prevents depression. These factors too add to the benefits of chocolate on health, especially the benefits of dark or bitter chocolate. Thanks for sharing this delicious HubPage "Benefits Of Dark Chocolate Or Bitter Chocolate"
@catmalone-yes it the dark chocolate that is the healthiest and in moderation too. Thanks for stopping by. @Sueswan-glad you like information on your favorite chocolate. Thanks. @Paul-glad you find the info on dark chocolate useful. I appreciate your visit and all the votes and sharing. I noticed the really low cholesterol content of dark chocolate, which is good because dark chocolate is my favorite kind! Others with lower cocoa content just taste like sugary paste. This is an awesome hub well researched with great photos. I love chocolate, but most of what I have eaten has been milk chocolate. One of the readings for my fifth grade students is about chocolate so I was already familiar with some of our information. I learned a lot, however, and thank you for sharing it. Voted up and sharing with followers and on Facebook. Also Pinning and Tweeting. Thank you for this very informative hub on my favourite food, chocolate! Very well put together hub with lots of useful information. I love chocolate, especially dark chocolate due to the health benefits it has. Thanks for the reminder to eat more of it in moderation. Thanks, Indian Chef. Dark chocolate with a cocoa content of at least 70% is the healthiest. Rajan Again a very well researched hub. I love eating chocolates but do not eat much but after reading your hub, I plan to eat more. Shared, voting up and awesome. Thanks, moonlake. Regularity is as important as the quantity, appreciate the vote and sharing. Enjoyed your chocolate article. I try to eat at least one piece of dark chocolate a day. Voted up, pinned and shared. @ Au fait - thanks for linking my hub to one of yours. I appreciate all the kind comments and sharing. @ Margaret - good to know you consume dark chocolate everyday for its continued health benefits. Glad you find the info useful. Thanks for sharing. @ Boulism - Absolutely! Thanks for stopping by. I agree with rajan, it's the sugar that kills us (esp. corn syrup), so the higher cocoa you can go the better! Yum! I eat two pieces of dark chocolate every night, so it's great to know about the health benefits. Excellent, well researched hub, full of interesting facts. Voted up and shared! Such an interesting hub! So nice to learn how something we love is actually good for us for a change! 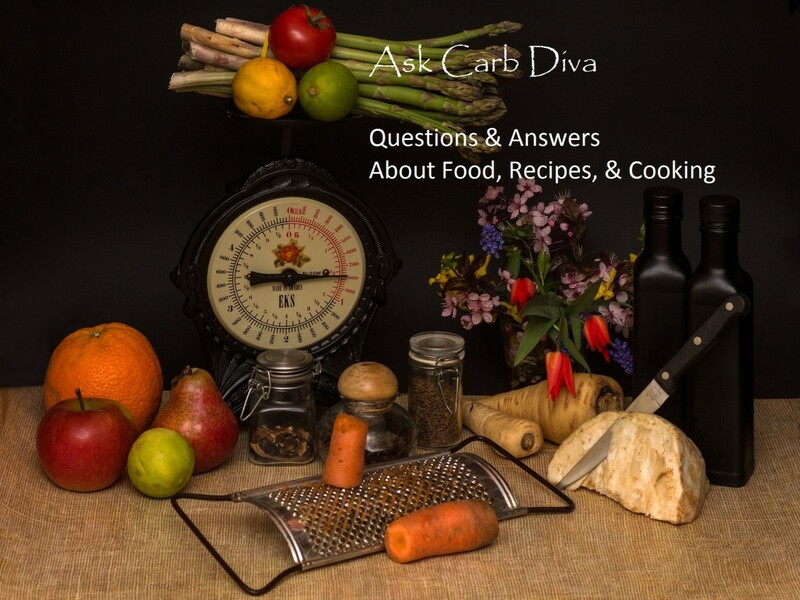 I have put a link for this hub in my own hub "What Do Carrots and Chocolate Have In Common? Chocolate Lovers Rejoice!" Hope it will bring you more readers for this excellent hub! Voted up and useful. Will share! 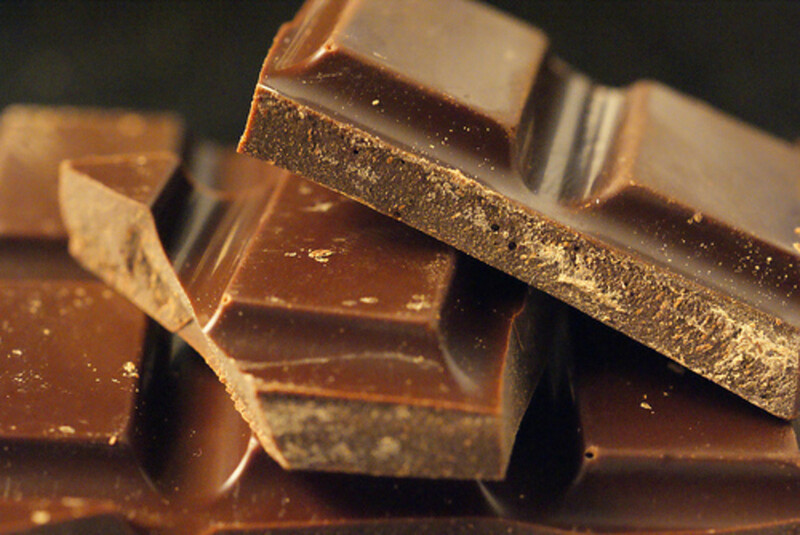 Dark chocolate without added sugar gives the highest health benefits. 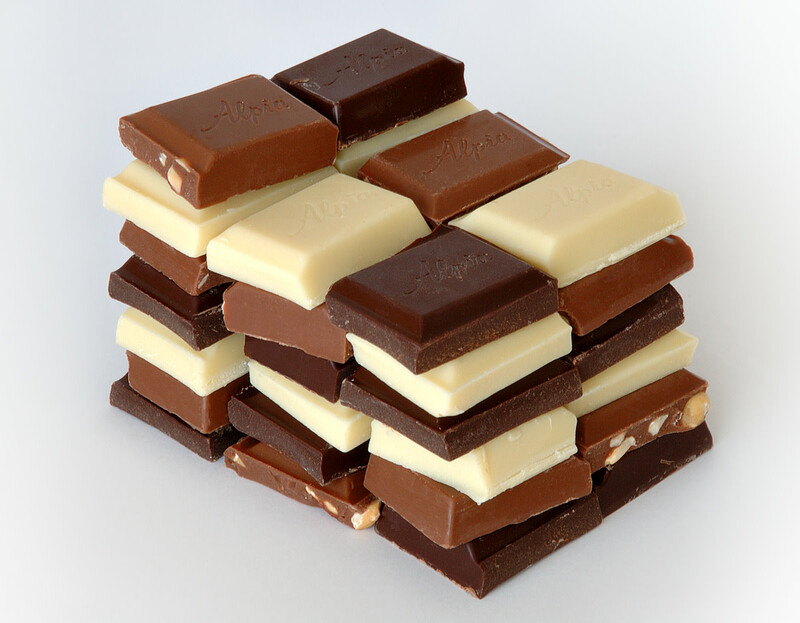 Since chocolates are high in fat, the need is to go easy on the quantity consumed every day while eating it regularly. About 1.6 ounces a day has been found to be best for benefiting the heart as also giving the benefits of the flavonoids in it. As always a very comprehensive discussion and I didn't know that chocolate is also beneficial to the heart. I haven't managed to completely give up chocolate but will try to make sure it is dark chocolate so there is some benefit. People love to read about and eat chocolate so am voting up and sharing this because I guarantee there is information in this hub that most people are not aware of. Audrey, thanks for such wonderful comments. You made my day. Appreciate your visit, votes and sharing the hub. Always a pleasure to see you.Thank you. I love dark chocolate! I just need to watch my portion control:) This is an educational hub on chocolate and you have included it all. Your hubs are a must read my friend. And that is why I share them all with others. Thanks for all the hard work you go the extra mile for. It sure pays off! Votes across! Thanks for such a big compliment, bridalletter. It pleases me to know my work is so much appreciated. Many thanks for visiting. You put so much work and details into your hubs. We are all gaining some education here. The chocolate looks so good, I will have some today. Thank you, Ishwaryaa. I'm happy you learned things you were not aware of. Thanks for all the compliments, and the votes and sharing of the hub. An informative & engaging hub on the one of the world's favorites - chocolates. I am a big fan of chocolates. I preferred milk chocolates and recently ate dark ones for its health benefits. Your nutritional information is detailed and well-presented. I also learnt more about production process, cacao tree varieties and types of chocolates from this well-written hub of yours. Well-done! @ natures47friend - thanks for appreciating and sharing the hub. I appreciate your stopping by and your feedback as well. @ Harsha - thanks for your useful input. Much appreciated. Just found out a very important side-benefit! It seems modern day foods are becoming more and more deficient in magnesium which is necessary for more than 300 enzymes. If a person is not getting well in spite of multiple treatments, it is highly possible that he/she is deficient in magnesium. AND chocolate is one of the best sources of magnesium!! 6 years ago from Sunny Art Deco Napier, New Zealand. Wow...you really know how to win people over! I am a fan of chocolate. Thanks for such an informative hub! I had not realised the bromothymine was good for the heart. I an often telling people why dogs should not eat it, and they look at me and tell me the dog is fine. Oh well.....one day I might have to tell them "I told you!" I know dark is best, but find that it makes by mouth sore...an allergy perhaps? I have voted you up, shared on Facebook and Twitter because you and your hub deserve it! You are an amazing writer with a talent of making us feel OK about eating chocolate....it has more benefits than I thought! Well done and keep up the good work. Have you tried dark choccy with chilli? iamaudraleigh, glad you learned a couple of things here. I so appreciate your read and comments. CookwareBliss, glad you found the hub informative. Thanks for reading and appreciating it in so many words. Thanks for reading and liking it. Your link has beautiful pictures that show how it is made traditionally. Rajan, I learn so much from you. Thanks for all your continued hard work. I thought that you might like this post by a very good friend of mine. It is how we make natural dark chocolate. Laura, glad to know you liked the process of making of chocolate. It feels nice to know a bit of additional info. Yes, there are reports that the antioxidant epicatechin in the dark chocolate increases the rate at which the body fat is burned plus it also lessens hunger pangs. Thus it helps to lose weight but only if taken in moderation. Thanks for visiting and appreciating. Yes! Moderation is the key, Ruchira. Glad you liked it and thanks for your visit. minus the calories...this is such a self motivating hub about indulging in this. i love chocolate however, in moderation is good. but, your useful and informational hub says it all. Danareva, thanks for reading and pointing out the inadvertent lapse. Actually I wanted to incorporate a chocolate and cocoa frappe. I will be adding it. Thanks. Nell, thanks for the read and feedback. Your input is much appreciated. This is definitely a well researched hub close to my heart! The break down of the nutritional info is fascinating... I was a little surprised that you put in a recipe for a McDonald's chocolate drink... Doesn't seem like the healthiest ( or even real) choc choice! These days I take my chocolate dark, organic and fair trade. Thanks and thanks for sharing my hub on organic chocolate above! Voted up! Australiaseo, thanks for the information. Much appreciated. Pure Cocoa butter is amazing.. for making lipsticks.. using it as a body butter. Thanks for reading and commenting. I'm sure you will give yourself a chocolate treat now! Thanks for this. Now I can have chocolate without feeling guilty. 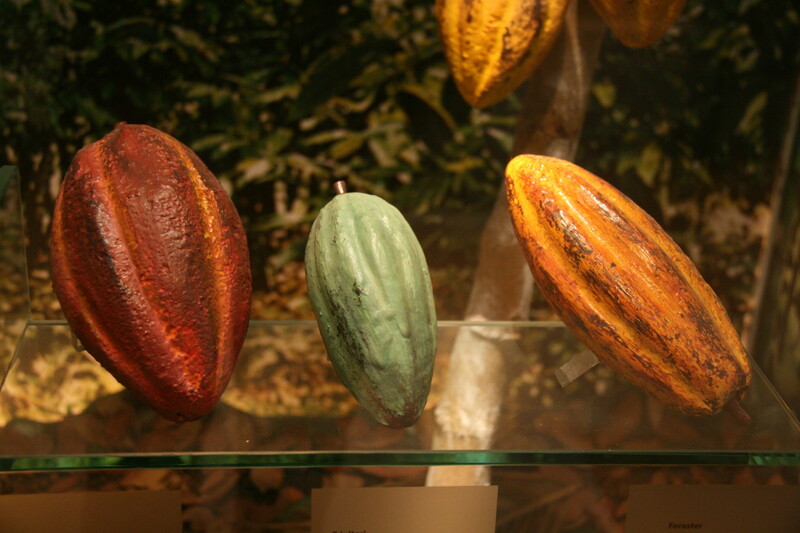 It was also interesting to see photos of the cocoa pods. Diana, thanks for leaving your feedback. Appreciated. When processed properly, dark chocolate has more antioxidants than any food known on the planet. So it really doesn't matter what the cocoa content is if the beans are not processed property. 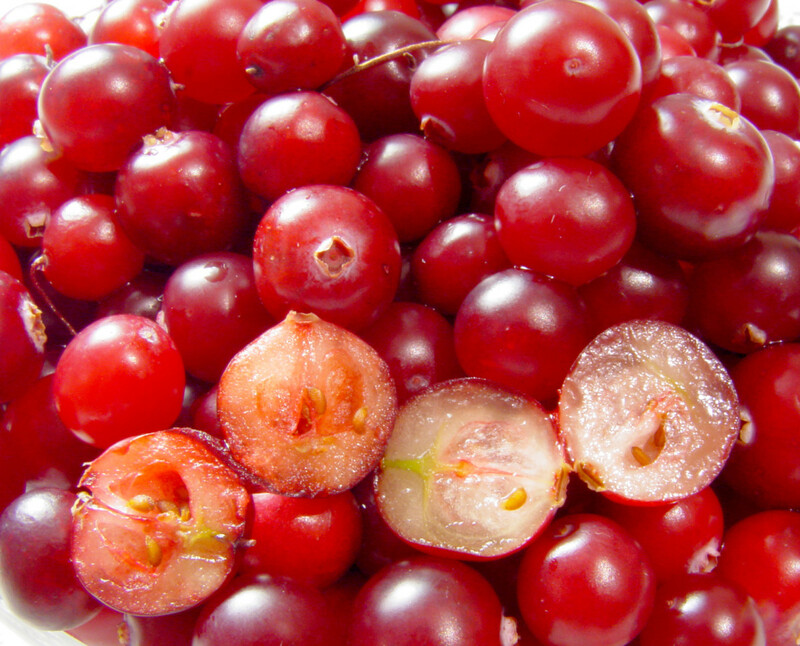 Commercial processing destroys most of the fragile antioxidants. The only way you can be sure you are getting the health benefits is to choose a chocolate that has been certified for the amount of antioxidants as well as the amount of flavonoids. Also, choose a chocolate that has no processed sugars (even organic processed sugars! ), no bad fats nor caffeine. There is a great article on the difference between "good" chocolate and "bad" chocolate at cocoa101.com. @ Sheila, nice to know you prefer the dark chocolate and consume it in moderation. Thanks for the read, feedback and appreciation. I appreciate it. @ livingpah, thanks for stopping by. @ Olde Cashmere, great to get your feedback. Thanks for sparing time to read, comment and vote. Much appreciated. Great written Hub. Love dark chocolate and good to know the health benefit of it. Voted up! Aweme hub. you sure do put your heart and soul into your hubs. Simply gorgeous. I like dark chocolate the best. I'm glad it's a healthy option! Although I don't eat heaps of chocolate anyway - not a chocoholic!! Great! That is good. Thanks for your feedback and reading the hub. Aurelio, you can always snack on the dark variety for benefit, no need to forego the pleasure of the white one though. Your comments always make your visit inspiring. Rahul, thank you for reading, sharing, voting and commenting. Glad to hear that one of the foods has some nutritional properties. But alas, my favorite variety, the white chocolate, isn't really chocolate and not as healthy as the dark one. I'll just have to eat both kinds! Voting this Up and Interesting. Another great hub Doc! I did not know chocolates have been dwelling among humans for so long... Drinks first then edibles... Interesting! All in all... Another flawless hub! Hi Rebecca, well I'm glad you see the research to your liking. Really appreciate your read and comment and I hope you enjoy your daily dose of dark chocolate without any fear! Harsha, this should be a problem with humans as it is related to the animal's and not man's difficulty in digesting theobromine. However I'm not aware of any specific studies on humans. What a great Hub, rajan! Packed with interesting facts about chocolate. I am so glad food research indicates all the benefits of chocolate today. When I was growing up chocolate was considered bad for you! Thank you, Rajan, for the informative page. You have mentioned about dogs and other pets having convulsions as they cannot digest Theobromine. I am curious if humans with seizure history too are affected to a small degree? Is there any medical study on this aspect? Thanks for reading and commenting, Vellur. Much appreciated. A great lot of information on chocolate. Loved the videos. Useful and a yummy hub. Voted up. MelChi, thanks for reading and appreciating, voting and sharing. Thanks for stopping by. I never knew that much about chocolate - thank you for sharing! This was a great hub, very informative and very interesting :) Voted up and sharing! Barbara, I surely hope you try making chocolate at home. It's been explained very simply. Thank you for such lovely comments and I am glad you liked the hub. You and your family too have a good weekend. I have to say this hub was amazing, and I thought I knew all about Chocolate, well I do now. Making chocolate at home is something new to me, and I will try it. As always I enjoy everything you write. You and yours have a happy weekend. Linda - thanks for reading. Much appreciated. taw - glad this hub provided you with useful information. Now consuming chocolates will be all the more beneficial. Appreciate your visit. Tammy - so nice to hear this. Welcome to the read and I'm so glad you visited. Wow!!! Yummy hub, chocolaty hub !!!! This hub is informative...till now i was just eating chocolates, now i even have knowledge about them. That's because of you ........Nice work. I always appreciate a tribute to chocolate:) Well done Rajan! Debbie, I wish I can go to Hershey Pa right now. I find chocolate so ethereal whenever I make chocolate at home. Thanks for liking and voting the hub. It's always nice to see you here. Cyndi, thanks for so many kind words. I am thankful you stopped by. It is always a pleasure to see you here. Mary, I am glad you liked the information. It is always a pleasure to see you here. Thanks for all the shares, votes and appreciation. Your visit is always looked forward to! Molly, wow, that 75% cocoa one is surely the best! Am sure glad that we all have so many options in this healthy food for each one of us in these times. Thanks so much for the read and comments. jasmith, nice to know you have already opted for the healthier chocolate. Regular consumption in moderation is the key to sustained health benefits. I'm glad you know the health benefits of this as well. Vinaya, glad you found this hub informational. Thanks my friend. ksinll, yes moderation is the key word here. Thanks for sparing time to read and leave your appreciation. Made, you are big chocolate lover and nice to know you go for the healthiest option, the dark one. I bet we can never really get over our chocolate cravings so its best we eat the best type. Thanks so much for giving the hub a read and leaving your feedback. Much appreciated. suzzano, nice to know that you've decided to eat more of the darker variety. I appreciate your stopping by. zanaworld, glad to know that you like chocolates as well. I don't many of us can resist this healthy sweet temptation. Christy, chocolate in moderation is good but the dark variety is the leader by far. It would definitely be healthier to consume just a wee bit of the dark variety daily. Both your comments showed up Christy, thanks. It's just the time difference. I had just called it a day and now when I came back I saw your other comment. Thanks for reading and I appreciate and value the time you spared to read and comment. MMmm, now you've done it. I have a chocolate craving. I must get some chocolate - NOW! :) This is a comprehensive, informative hub, Rajan. Your statistics and data are incredible. Bravo! You have come to be known as a Hubber who gives us good information, well researched . I look forward to reading your work. This Hub is outstanding! I will vote it up, and I will share with my chocolate loving Facebook friends and Hubbers alike. Great Work. I voted it UP, etc.etc. Rajan, thanks for giving me additional excuses to eat dark chocolate...my fave! Mmmm.....75% cocoa! I also remember going to an exhibit once on the history of chocolate. It was once a delicacy for the rich only. I'm glad I live in a day and time when I can enjoy it, too! Interesting hub! We have some dark chocolate in the fridge for this weekend... I've only recently been converted to dark chocolate but it's definitely my favourite now and its always nice to know there are good health benefits as well as great taste! :) thanks for another informative hub. I knew the process of making chocolate but not nutritious value. What a great topic. The nutritive value of chocolate needs to be praised and people should recognize the benefits of consuming in moderation. Oh dear, I wrote a comment but I suppose it did not show up...! Technical difficulties.. I do like milk chocolate the best. I will try to eat more dark chocolate though given the health benefits you explain. I vote up! RTalloni, Glad you liked the write up. Thanks for reading and commenting. Victoria, dark chocolate heads the list way ahead of other foods in orac values. This was something I too never expected. The only reason being that it is packed with antioxidants. Thanks for the votes and comments. Glad you stopped by. I have always loved chocolate. I always keep some chocolate hidden somewhere from the rest of the family. :) Nowadays I mostly eat dark chocolate. I really learned a lot by reading this hub. Thank you for sharing this interesting information rajan jolly. Hubs with the word "chocolate" in the title always get my attention. Voted up! Georgie, I love chocolates so much that I've been known to finish an entire box at one go. I'm glad you liked the hub. Thanks for the feedback. I could eat chocolate all day, every day if I could get away with it! Your hub is very interesting and has a lot of information I did not know! An interesting look at chocolate in a well-done hub! 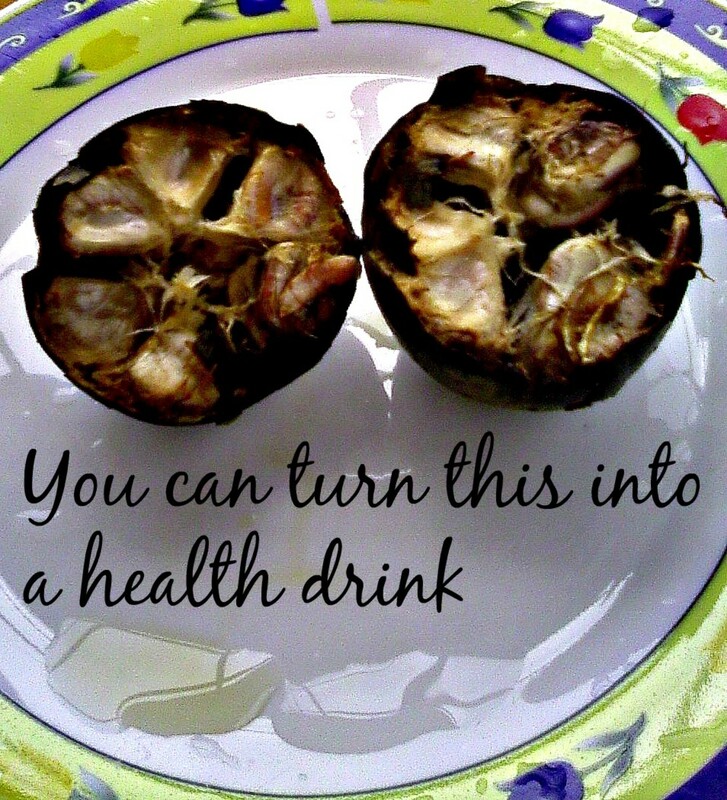 Thanks for a great post on the health benefits of dark chocolate. I love the photos of chocolate--makes me want some. Great research and photos. The nutritional tables are interesting--amazing that chocolate has more anti-oxidants than other foods. I love dark chocolate. Yummy. I think I'll get some right now. Well done, rajan! many votes and shared!